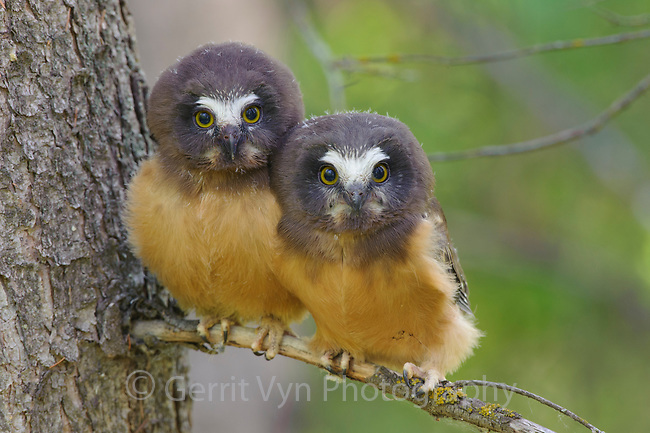 Fledgling Northern Saw-whet Owls (Aegolius acadicus) that have recently left the safety of their nest cavity. Alberta, Canada. June.